Liberty Road Ballers, aka LR Ballers, is a youth basketball program for boys and girls from 2nd grade to 12th grade. The LR Ballers travel program was the idea of William Beverly, Arthur Luster, and Rob Jones. For years, the in house recreation program, LRW, competed in tournaments outside of the regular "in house" games. LRW teams traveled to PA to compete in the Bustleton Bengals Classic tournaments yearly as early as 2006. In the Spring of 2006, Coach Beverly and Coach Art started the very first LR Ballers 12U team. As a first time travel team, the 12U competed in many tournaments, and made it to the semi-final round of the AAU 12U Nationals in Kentucky. After the success of that team, the program began to grow. 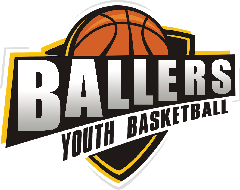 By 2010 LR Ballers was the home to 8 teams. Through the years the progam continues to thrive, and we have seen our share of players who started in the clinic with LRW go on to play collegiate ball, as well as professional. The continued dedication of the coaches and parents play a hugh part in the success of the program. We are a family oriented program who strive to provide the best possible opportunities for our players. The importance of academics is always first and foremost. 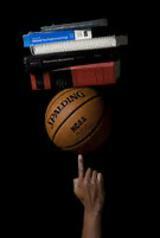 We take the players education serious and will hold all players accountable for their committment to their education. Winning a championship game is great, but winning with a solid education can change your life.